Home » The UK » Where did the Easter Bunny come from? Last week was our ‘paint your own Easter egg competition’ that aimed at getting us in a relaxed mood before the weekend. Instead it got us all quite giddy like children, after all that’s just the contagiousness of creativity. The products of such creativity can be seen on our Facebook page so if you haven’t voted already, please do. The winner will get a yummy tempting prize just in time for Easter. Click here to see the pictures! Have you ever wondered where on earth the Easter bunny came from? Isn’t Easter a Christian holiday remembering the resurrection of Christ? Well, where do the bunnies and the eggs fit into the story? 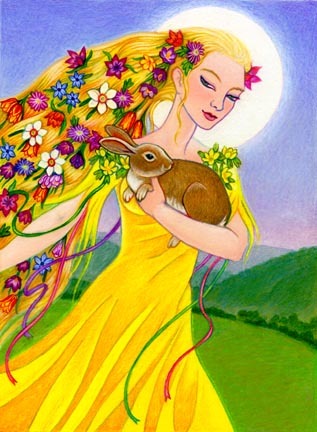 Well, the word Easter ACTUALLY comes from the pagan spring goddess called Eastre (or Eostre). Saxons and people held a festival called Eastre during the spring equinox from North Europe in her honour. Given its connection to spring equinox and lighter new days, it was then associated with the Christian celebration of the resurrection of Christ. The Easter Bunny is a personified, egg-laying rabbit who sneaks into homes the night before Easter to deliver baskets full of colored eggs and chocolate (a bit like Santa at Christmas). 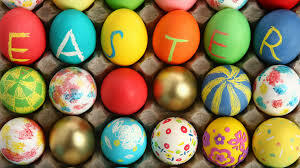 And just like Santa is at Christmas, the Easter bunny is the most commercialised symbol of Easter. Spring is the season of rebirth and renewal. Plants return to life after winter and many animals mate and procreate. Hence the egg and rabbit are all symbolic of this. 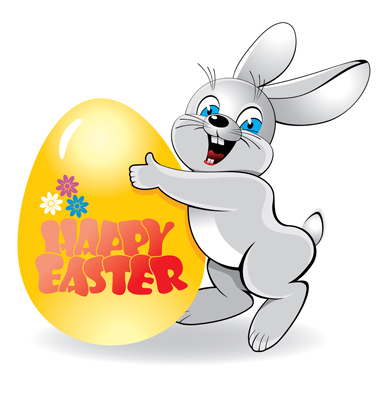 In legend, the Easter Bunny, also called the Easter Hare or the Spring Bunny, takes baskets filled with coloured eggs and chocolate to the homes of children on the night before Easter, another similarity to Santa. The Easter Bunny will either put the baskets in a designated place or hide them somewhere in the house or garden for the children to find when they wake up in the morning, giving rise to the popular tradition of the Easter egg hunt. Although there is some debate about whether children should remember and celebrate the Easter Bunny or the resurrection of Christ. After all both the Easter Bunny and the resurrection resemble new life and new beginnings and that’s all that matters… the celebration of how blessed we are and how amazing nature is. What was once dark and dull is now bright and alive! Spring is finally here… Happy Easter! By worldchoiceeducation in The UK, World Choice Education on April 2, 2015 .